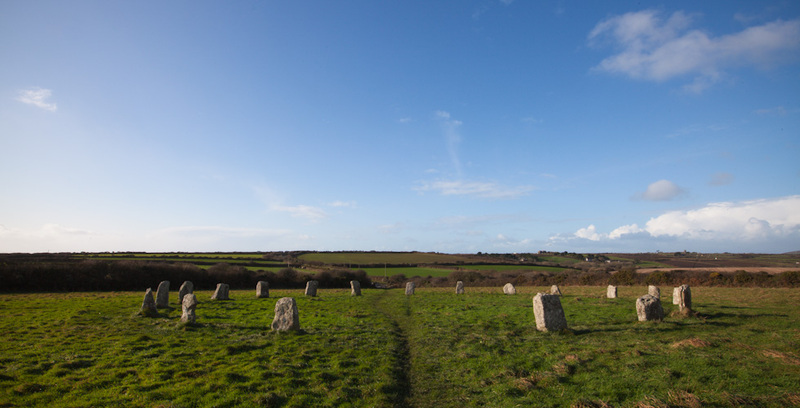 The Merry Maidens is one of the few ‘true’ stone circles in Cornwall, being perfectly circular; it comprises nineteen stones today but is thought to originally have consisted of just eighteen. Another popular name for the stone circle is ‘Dans Maen’ which can be transaletd from the Cornish as the ‘dancing stones’. Both these names are commonly associated with Cornish stone circles and have inspired folk tales of dancing maidens turned to stone for merrymaking on the Sabbath. This could reflect long preserved memories of rituals carried out at the site, or more recent attempts by the Christian church to impose a particular morality on the local population and to deter them from surviving pagan practices. This entry was posted in travel, uk and tagged canon 5d mkii, cornwall, england. Bookmark the permalink.